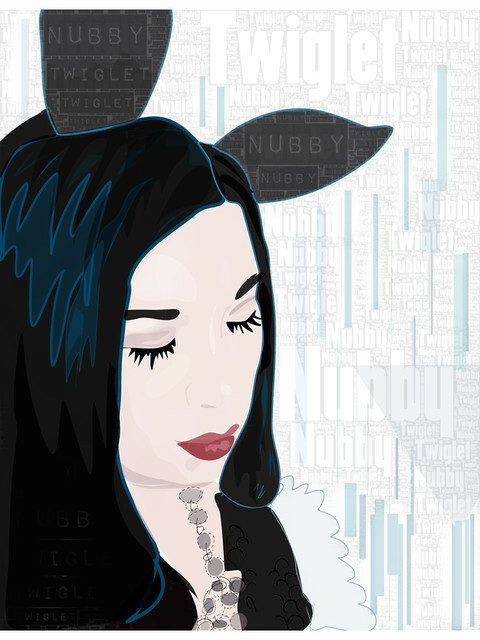 Nubby Twiglet (Aka Shauna Haider) is one of my favorite bloggers who I have been following for a couple of years now. I discovered her through Gala Darling’s blog and also saw that she had designed the websites for both Dr. Sketchy’s and Molly Crabapple. I wrote a short blog post about her here back in 2011. Nubby Twiglet is, among other things, a blogger, graphic designer and an artist. I read her blog several times a week because it always touches upon subjects that I am really interested in. I also love seeing her “What I Wore Today” posts and how she puts her outfits together. She has a very graphic way of dressing and when I go out shopping I am always looking for clothes or jewelry inspired by her looks. Nubby is also one of the Head Mistresses of The Blogcademy, a two day blogging workshop that has been held all over the world. 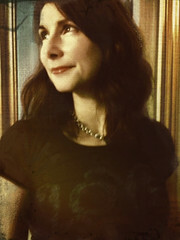 Along with Gala Darling and Kat Williams, Nubby brings her extensive knowledge of blogging and branding to the course. The Blogcademy is coming to NYC this summer and I need to be there! They are awarding one scholarship for each city so I am working on my “Get me to Blogcademy” campaign. Wish me luck! I’m totally loving this series! I love how you included all of the text, that’s such a great touch! Also, I am still so jazzed about the portrait you did of me! Thanks! April is over but I am going to continue with the portrait series. So many interesting people to draw!